This outstanding tactical package retains the core features of the X-TAC and adds a tactical light rail and other select performance options that BCM’s experts demanded, such as our Bullet Proof® One Piece Magwell, solid medium trigger and tritium front sight. The enhanced grip pattern of our X-TAC 1911 has become the standard with hard users who run the 1911 platform in extreme service environments. 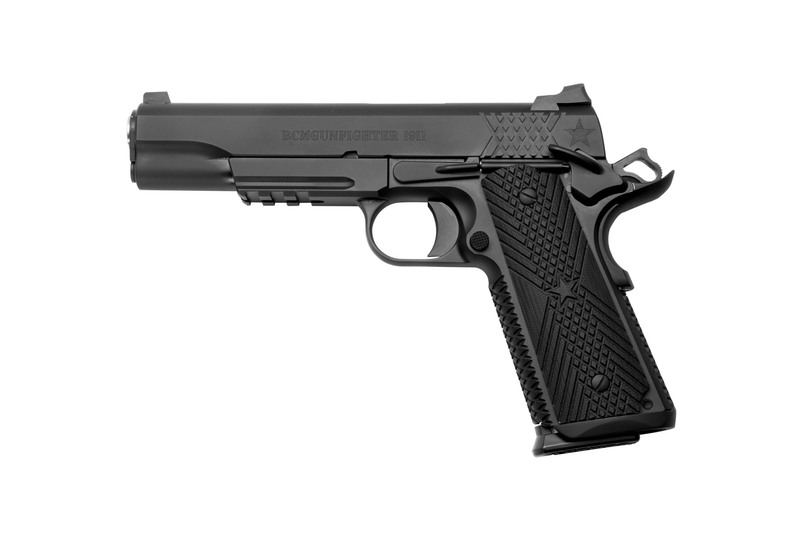 You can now get this unmatched grip security and styling in a special X-TAC model exclusive to Bravo Company MFG-- The BCMGUNFIGHTER 1911. This outstanding tactical package retains the core features of the X-TAC while adding a tactical light rail and other select performance options that BCM’s experts demanded, such as our Bullet Proof® One Piece Magwell, solid medium trigger and tritium front sight. Our renowned Armor-Tuff finish was chosen to offer a non-reflective and corrosion-resistant finish that can stand up to the most severe global environments. In tandem with the BCMGUNFIGHTER/VZ G-10 grips, the frame’s X-tread pattern locks securely into the firing hand and reduces muzzle flip without snagging on clothes or cover garments. 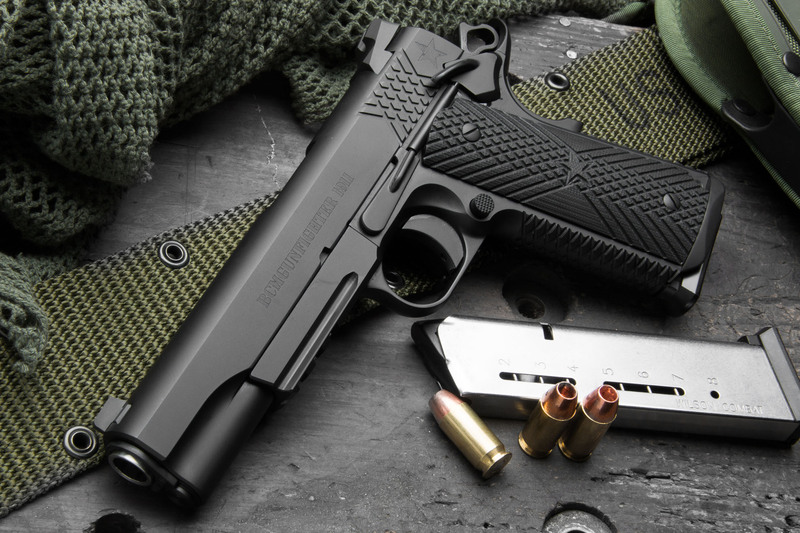 “Wilson Combat has a legendary history in manufacturing fighting 1911s, and serious hard-use guns are what BCM is all about. We are very excited to collaborate with Wilson on a special gun, built to our specifications with carefully chosen and battle ready options. BCM builds weapon systems that are manufactured to meet the unforgiving needs of law enforcement, military, security and peace keeping professionals in some of the most high stress environments and situations in the world. Forged from a gunfighter’s no-nonsense mindset, we believe the BCMGUNFIGHTER 1911 carries on this tradition in a fighting handgun.” – Paul Buffoni, President, Bravo Company MFG.